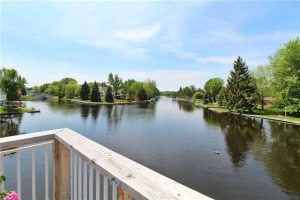 Deck Overlooking Water And Breath Taking Sunsets Views, Indoor Pool, Tennis, Community Centre, Restaurants,Marina, Private Park & Stunning Sandy Beach, Minutes To Casino Rama, Golf. All Appliances Included, Central Air. You Will Love It! !